Search now for your next downtown Madison apartment; our leases typically start in August of each year. 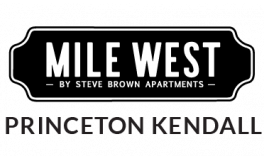 Princeton Kendall Apartments has a mix of three and four bedroom apartments with several floor plans to choose from. The open kitchens have dishwashers and many have breakfast bars. The four bedroom apartments, and one of the three bedroom apartments are two stories with spiral staircases leading to the second story. All of the apartments include heat and parking is available for rent! The best neighborhood in downtown Madison. These vintage apartments provide a stylish, comfortable home where the west side meets campus. For the consideration of all residents, cats and dogs are not allowed. Fish and birds are permitted. Qualified service animals are always welcome, but must be disclosed.